For a mere 3 Euros, local representatives of the Unteres Odertal National Park lead excursions into the surrounding countryside in search of flocks of cranes. They even provide the wildlife viewing scopes to get a good look at the cranes, which boast a 7-foot wingspan, without scaring the flocks of birds back into the air. In the evening, rangers also lead visitors along the dikes on the Oder River to watch thousands of cranes flying in from the surrounding fields to islands on the Oder where they spend the night. 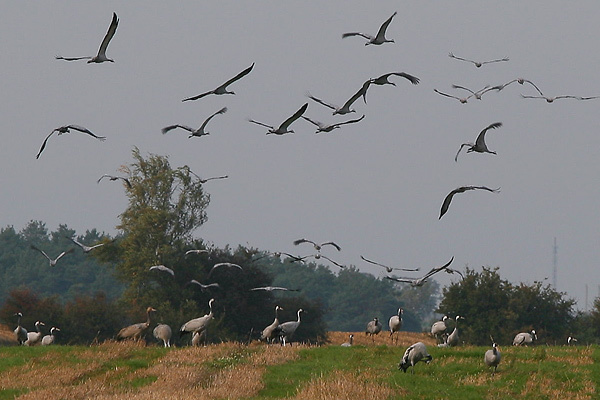 Approximately 15,000 cranes are thought to overnight on the island near Gartz. It’s a truely phenomenal sight to behold. Unteres Odertal National Park is relatively easily visited by public transportation from Berlin. Visitors can take the regional train from Berlin to Schwedt. From Schwedt hourly public buses carry visitors to Gartz. During Crane Week, there is an information tent in town where crane viewing excursions into the surrounding countryside are organized by the park. 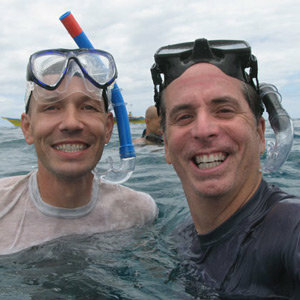 Such excursions are somewhat irrgular and depend on demand. 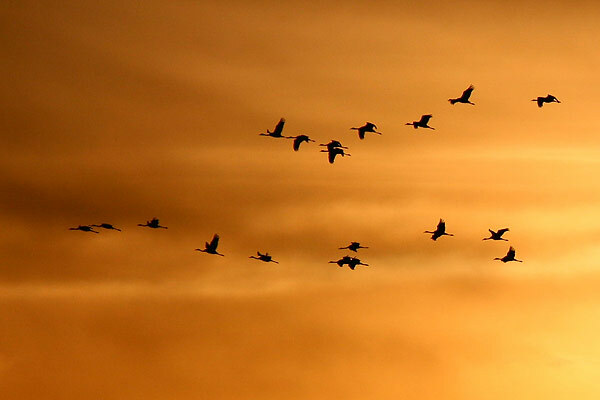 Even when excursions are not being organized, visitors can walk to the dikes on the Oder River at sunset and watch thousands of cranes returning to the islands. For those traveling to Gartz by public tranportation, ask at the train station about a Brandenburg ticket which currently costs 29 Euros and from 9 AM on allows a full day’s transportation on regional trains and buses within Berlin and Brandenburg for up to 5 people. What a bargain! Is crane week already over or can people still visit? 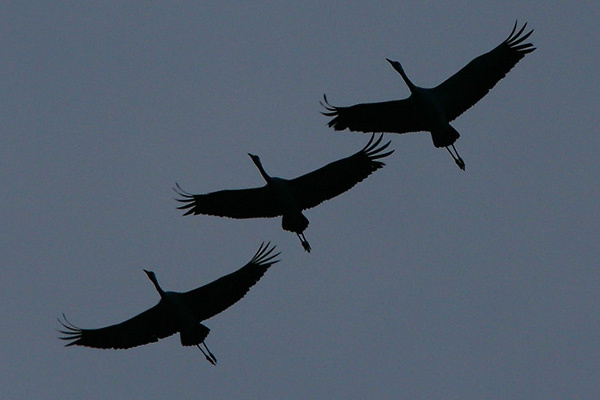 Officially, Crane Week ended on the 6th; however, they will still be there for the next 2-3 weeks. Official excursions into the surrounding countryside just take place during Crane Week, but if you have a car and binoculars, you can still look for cranes on your own. 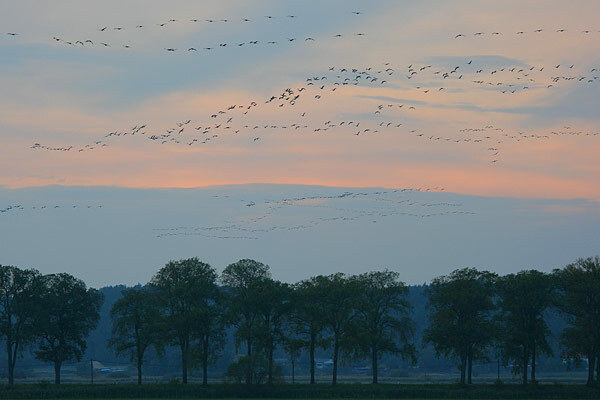 If you are traveling by public transport, you can travel to Gartz and just before sunset walk out on the town’s dikes along the Oder River and watch the cranes flying in from the surrounding fields.